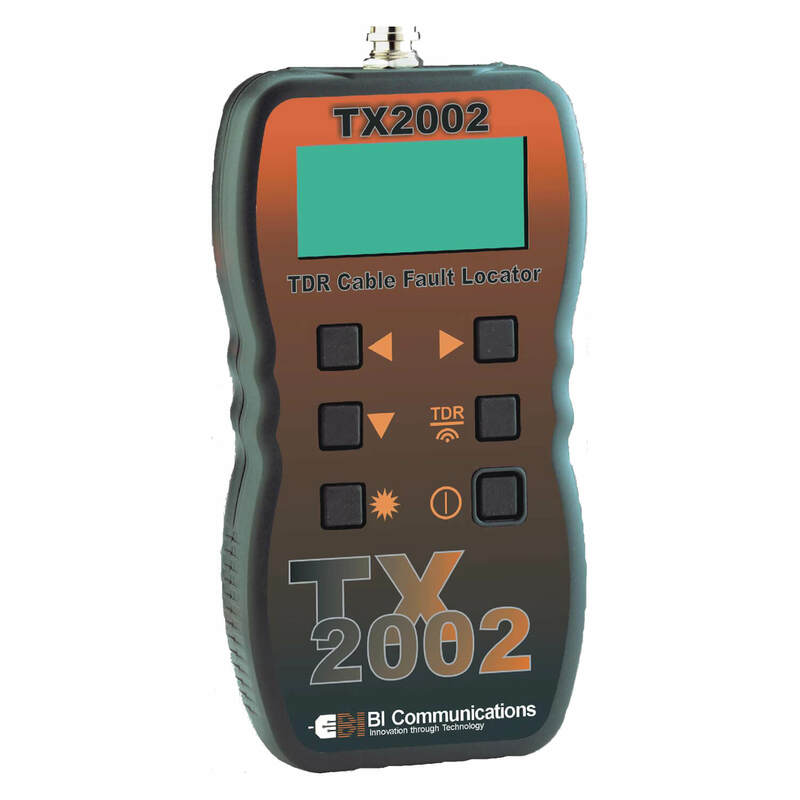 BI Communications TX2002 Graphical TDR Fault Locator is a professional Time Domain Reflectometer and Toner designed to detect and locate faults on copper communication cables up to a distance of 3500m (11,500ft). Advanced signal processing techniques enable the TX2002 to find opens, short circuits, splices, taps, water ingress and other more elusive impedance mismatches. 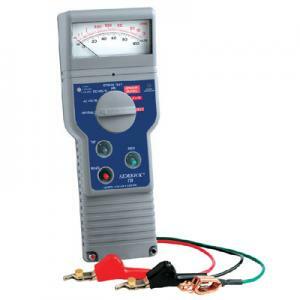 A built in oscillator also provides a tone for pair tracing and identification. 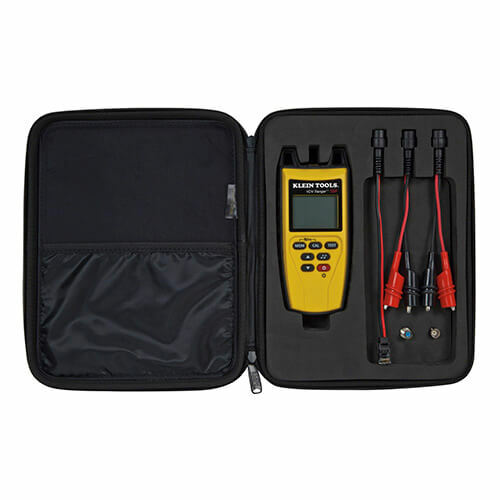 Selectable cable impedance matching, along with variable velocity factor, enable the TX2002 to be used to test all communication cables, including twisted pair and coaxial, with graphical results and fault distances displayed on a dot matrix LCD. 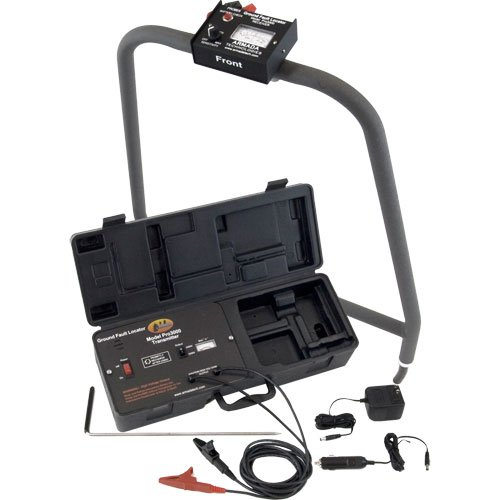 The TDR/Toner is housed in a tough, ruggedised ABS plastic moulding, water and dust proof to IP54, and supplied complete with test leads and a protective tool-belt holster. 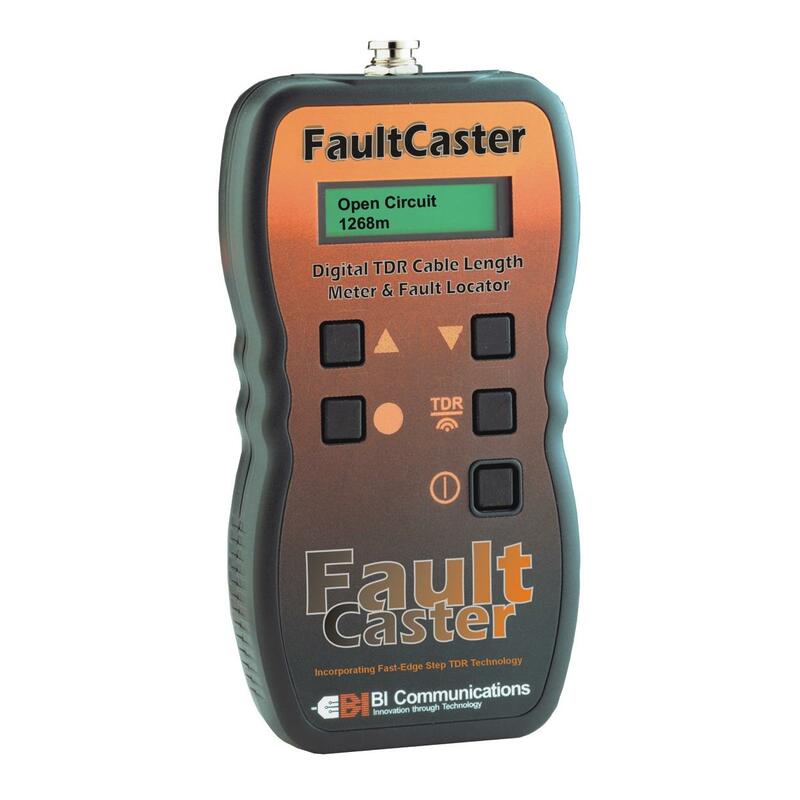 The BI Communications TX2002 is designed and manufactured to international standards for quality, safety and reliability. Made in England. Output Pulse Width 25ns min. 1.6us max.